Ian Jackson, "The Curse of Bernard Rosenthal", Book Collector, 59 (2010), pp. 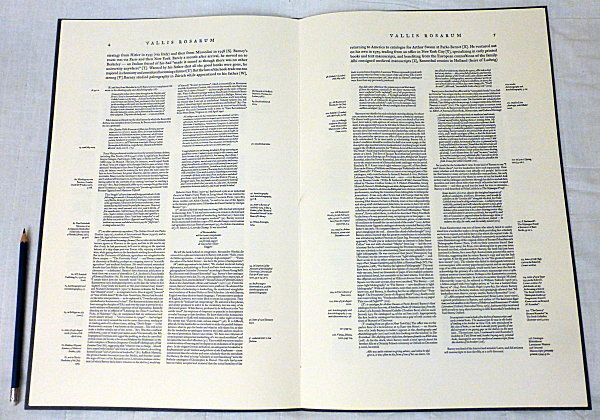 255­-62 (online here). 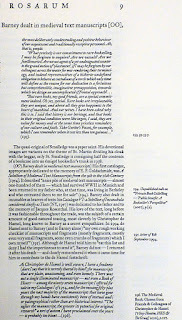 Bernard M. Rosenthal, Autobiography and Autobibliography (Berkeley, CA: Ian Jackson, 2010). 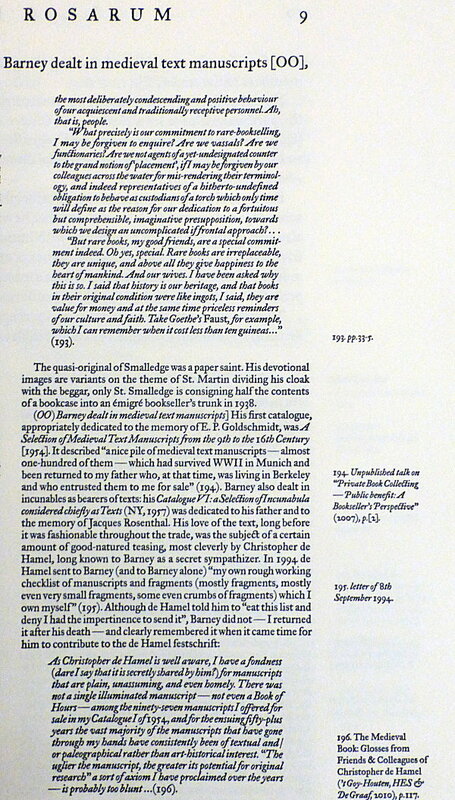 Ian Jackson, Addenda and Errata to Bernard Rosenthal’s Autobiography and Autobibliography [Berkeley, Ian Jackson, 2017]. Ian Jackson, Bernard M. Rosenthal, 5 May 1920 - 14 January 2017: A Biographical and Bibliographical Account by Ian Jackson in the Style of Pierre Bayle (1646-1706) (Berkeley, The Wednesday Table, 2017). pp. 12 with a portrait frontispiece. 17¾ inches by 11½ inches. 400 numbered copies, hand-stitched into printed dark-grey wrappers. 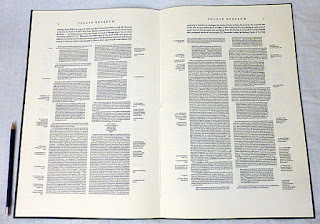 "This unshelveable folio pamphlet has been beautifully printed in letterpress by Richard Seibert with a red-and-black title-page. 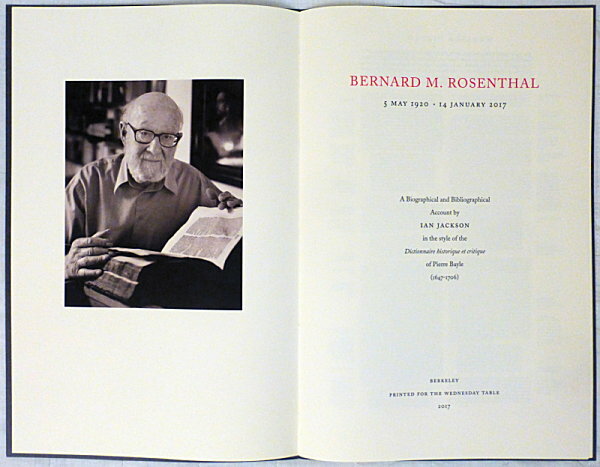 The frontispiece photograph of Bernard Rosenthal by Elvira Piedra was taken on the same day as the image that adorns Nicolas Barker’s obituary in The Book Collector for Spring 2017." For anyone with an interest in one of the history of 20th-(and early 21st-)century manuscript and rare book trade, and especially the place in it of the Olschki and Rosenthal families, it is an absorbing and entertaining read, dense with information. It can be ordered from Jackson's website.